First it was Jadudi who needed kes. 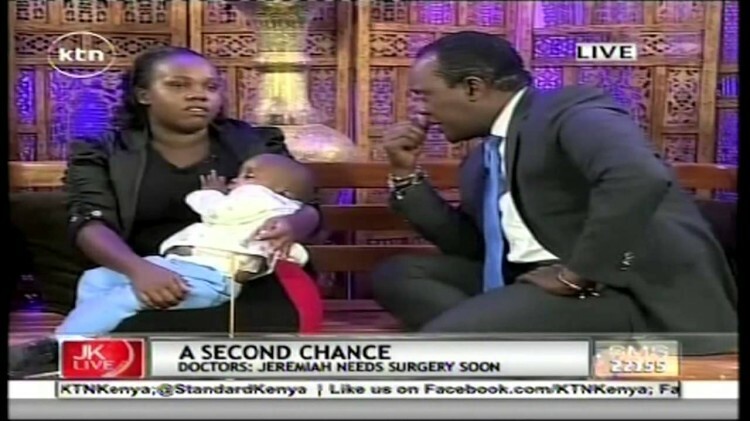 2 Million and KOT (Kenyans On Twitter) donated a whooping kes.6 million for his surgery which was a success. Jadudi had brain tumor and had previously undergone several surgeries. Kenyans are without a doubt the greatest people when it comes to helping one another in times of need. Remember the Kenyans for Kenya campaign! Please, don’t pay attention to the aborted solidarity account drive for striking teachers that could barely raise kes 0.5 Million. The campaign which was sponsored by CORD was given a wide berth by many Kenyans who saw it as a political popularity contest. Renowned TV personality and former CNN journalist Jeff Koinange on his weekly show JKL (Jeff Koinange Live) on KTN, on Thursday night, moved Kenyans of goodwill to raise more than kes.6million in just two hours for a three year old child in urgent need of medical attention to save his defective kidneys. 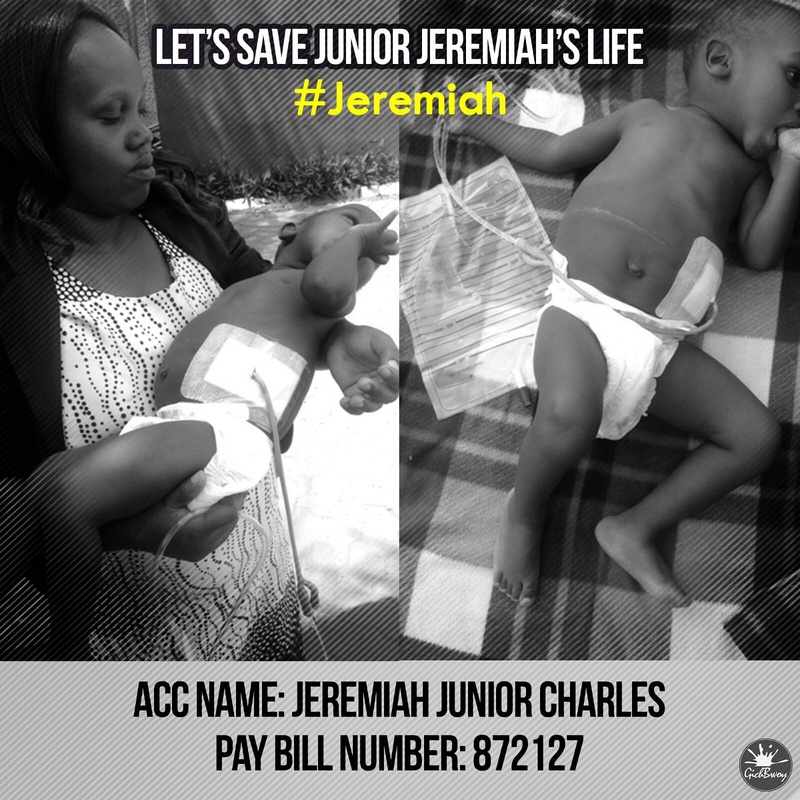 Imagine you are three year old and you have been given a month to live, you were born with defective kidneys, one has been removed and the other one is failing, what would you do? Jeff put up a pay bill number and Kenyans promptly responded by contributing towards baby Jeremiah. Since Friday Jeff has been updating his followers on the amount raised. In one of his tweet updated 14 hrs ago, Sh 7.8 million had already been raised.